Is Short-Term Disability Insurance Worth The Money? We receive this question quite a bit from individuals, business owners, and families. You might be surprised with our answer. Then again, if you work with us and know that we put your interests before our own, then probably not. In this article, we answer your question: is short-term disability insurance worth the money? 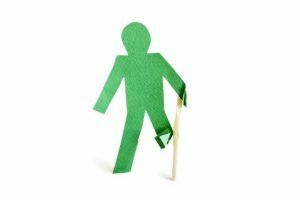 Should you purchase short-term disability insurance? We will answer that question, too. Short-term disability insurance pays you an income in case you miss work for a short amount of time due to a disability. A disability could include a sickness, injuries like a broken arm, or something more severe such as cancer or a heart condition. The benefit period usually 3 months to 9 months. Some plans have longer benefit periods such as 18 months. There are some 24-month plans, but these are rare. The higher the benefit period, the higher the premium, all things being equal. There is a waiting period – one for sickness and one for an accident. The waiting period can be 0 days (day 1 coverage), 7 days, 14 days, 21 days, or some plans have 30 days. You’ll see the combination as “0/7” which means a 0 day waiting period for accident and a 7 day waiting period for sickness, respectively. The waiting period can be a number of combinations, “0/14”, “7/14”, etc. The available combinations are limited to the plan itself. What does a waiting period mean? Just as it sounds, you need to wait these number of days before you are eligible for benefits. Waiting periods can eliminate small or frivolous claims. This is why plans with higher waiting periods have lower premiums, all things being equal. So, if you have a plan with a 7 day waiting period for sickness, and are sick with the flu and return to work in 4 days, you aren’t eligible for a benefit. But, if you were out of work for 11, then you are eligible for 4 days. Typically, a short-term disability plan pays 60% to 66 2/3% of your weekly salary. So, if your weekly salary is $500 per week, expect to receive $300 to $334 per week depending on the plan. If you read any of our long-term disability insurance articles, you know we provide an estimate of premiums. Premiums on a long-term disability insurance can run from $0.50 per day to $3.00 – it really depends on your age at application and your occupation. Your health matters, too. Nevertheless, long-term disability can be customized to your budget. Short-term disability insurance is a bit different. It is expensive. We have seen plans run $100 or more a month. Why is it more expensive? People generally make higher claims on short-term disability rather than on long-term, although the chance of a long-term disability is still between 1 and 4 and 1 and 3 workers – still high. In our opinion, it is not. It can be expensive for such a short-amount of benefit. Let’s put it this way. You spend $100 per month for a short-term disability insurance. Let’s say you have a plan for 12 months. One day, you slip on ice and break your arm. You are out of work for 1 week. Your gross weekly salary is $500. You are paid $300. Is it worth $1,200 or $100 per month to receive $300? You can certainly make the same argument about long-term disability insurance. However, long-term disability insurance is much cheaper and the cost of having a long-term disability is devastating. This is really what you want to protect. Not the sniffles, flu, or if you break an arm. Just ask anyone who has cancer, multiple sclerosis, heart condition, a long-term injury, loss of hands, and on and on. They probably spent years building up their income and career, and in an instant, it is gone. Long-term disability insurance will protect this income for the long-term. Ok, John, you say. What then is a better solution? We work with one plan that acts like disability insurance, but it is not. It has day 1 coverage (i.e. no waiting period) on both sickness and accidents. Premiums can range from $20 to $50 per month depending on the plan, or more if you use tobacco. Underwriting is simplified – no paramedical exam or anything like that. How is this possible? They limit the options to only 6 combinations of plans, with the highest payout being $1,500 monthly. This can be an affordable option if you want some short-term coverage. I am a CFP and honestly, this is the way to go for any short-term disability. You generally want to keep 6 months of your income saved in an account that is shielded from stock market volatility. If you have the flu, you dip into your fund to pay for any expenses. If you break your arm, you dip in. You replenish as needed. I know it is harder than it sounds. You have to start somehow. Many people find the task of saving daunting. But start out trying to save for your deductibles: health, auto/home, etc. You will find this is an easier approach. If you need to, pay for a sickness/accident plan to start. Then, when you have an appropriate amount complete, cancel. Yes, I said cancel. You might be thinking how can an agent tell you to cancel? That’s blasphemy! Again, we don’t consider ourselves as insurance agents, but rather a team of professionals, always working in your best interests, and we happen to know insurance. Both short-term and long-term disability insurance have waiting periods. We already discussed that before. With long-term disability insurance, you can generally start with a waiting period of 30 days. This will increase your premium. You might think that doesn’t sound good. You are spending more money! First, you can’t think that way. Remember I said the threat of a long-term disability is devastating. You suddenly can’t go to work because of the cancer diagnosis and…you don’t have any money coming in. It is scary. If you think you will simply obtain social security disability insurance, think again. Social security declines anywhere from 35% to 50% of applicants each year. Have some peace-of-mind and get a long-term disability plan. It is inexpensive for what you are insuring – your future income. Increasing the waiting period to 30 days gets you a benefit faster than if you had a 90-day waiting period – 60 days or 2 months sooner. Think about that. You break your knee skiing, you will probably be able to receive benefits after a 30 day waiting period. Have a cancer diagnosis? You’ll receive a partial disability benefit if your doctor says you can still work. Of course, a 30-day waiting period shields you from making sickness claims for the flu or pneumonia. But, if you have an emergency fund established, you don’t need to worry about that. When Is Short-Term Disability Insurance Worth The Money? Is short-term disability insurance worth the money? In one case, possibly. That case is if you are a female, and want to have children. Many short-term disability policies will pay you a benefit for your maternity leave. No, short-term disability is not worth the money. We think there are better options. Do you need assistance with understanding your options? Feel free to contact us or fill out the form below. Work with an agency that puts your needs and interests first. We would be happy to speak with you about the alternatives to short-term disability insurance. And, if it makes sense that you should have some short-term disability insurance, we would happy to guide you through the process.